Experience the beauty, vastness, and prolific wildlife of Botswana as well as Zimbabwe’s Hwange National Park, finishing off with the untamed power of Victoria Falls. This 11 day small group safari stays in a mix of lodges, guesthouse and en suite tented accommodation with most meals provided. 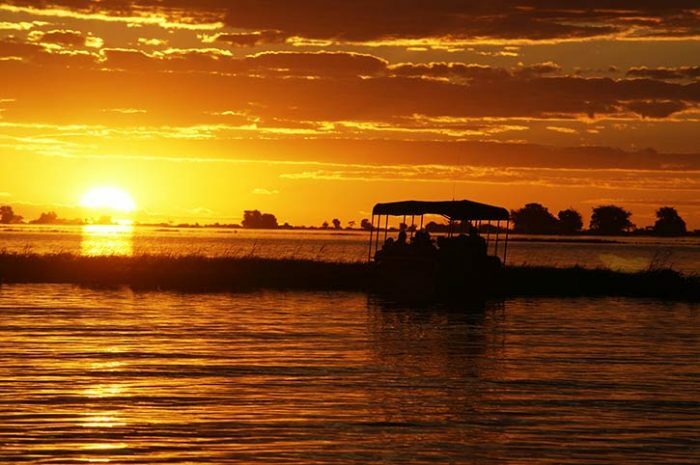 On arrival into Maun airport, transfer to your hotel for the rest of the day to relax and meet your fellow travellers. After breakfast, drive to the Makgadikgadi Pans region. After settling into our accommodation, take a stroll with your guide through the surrounding baobab forest, and learn about their unique biology, remarkably they are not trees but the largest succulent in the world. 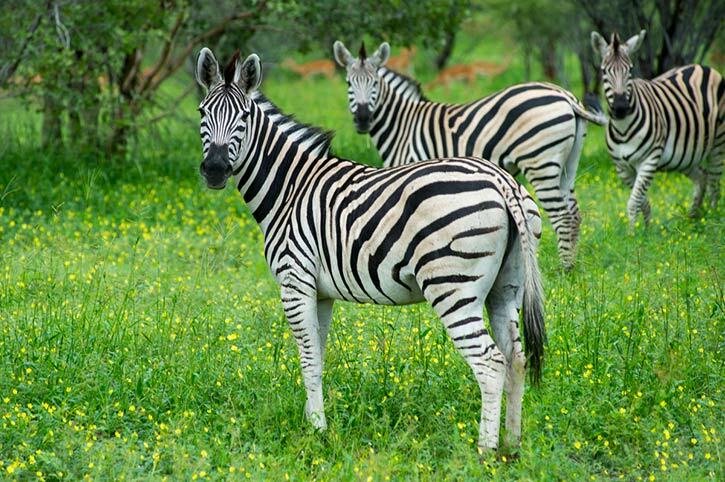 Depending on the time of year, today departs for either Ntwetwe Pan (Jun – Nov), or Nxai Pan. 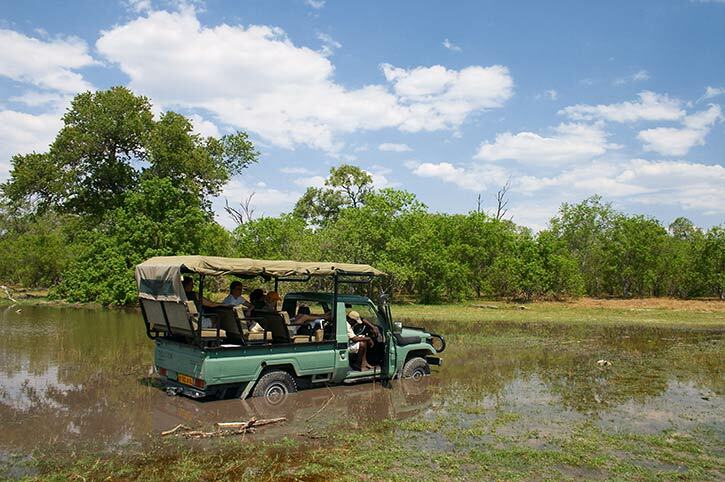 Ntwetwe Pan is an extraordinary lunar landscape punctuated with rocky outcrops. 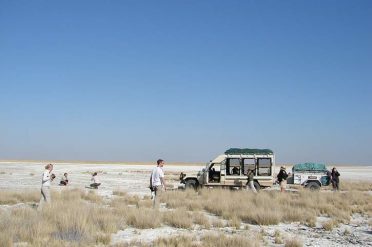 Head off and explore the area looking out for uniquely adapted species such as the bat eared fox, springbuck, kori bustards and meerkats. 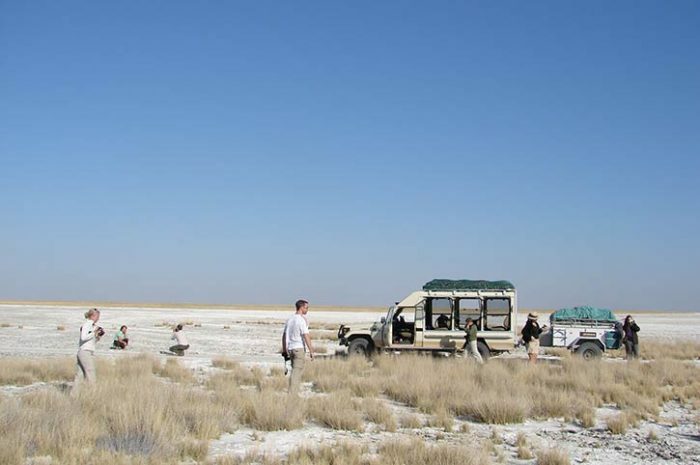 Nxai Pan is a fossil lake bed about 15 sq. miles in size surrounded by nutritious short grasses and small islands of acacia trees. 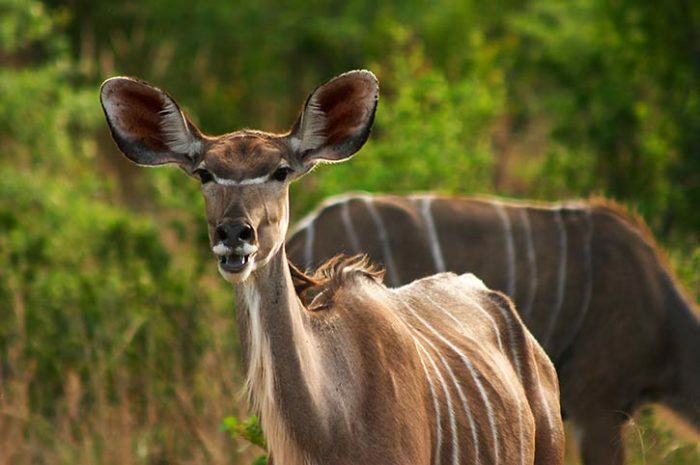 The area attracts large numbers of desert herbivores such as gemsbok, springbok and giraffe as well as carnivores including lion, leopard, hyena and wild dog. After breakfast, we travel via Maun, the gateway to the Okavango Delta, to our camp which is situated in a private concession in the Khwai area. Renowned for its large concentration of mammals, it is not unusual to see many different types of wildlife during the day such as elephant, buffalo, lion, leopard, cheetah and wild dogs. Birdlife can also be viewed in abundance with exceptional sightings of wildfowl and raptors. 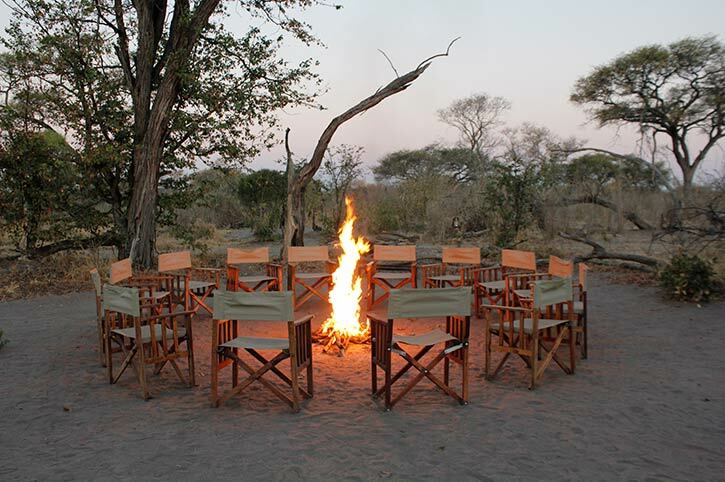 After dinner head out for a night game drive for a chance to see the more elusive wildlife of the region. Spend the next day in the famous Moremi Game Reserve, known as one of the most beautiful and varied reserves in Africa with excellent concentrations of wildlife. 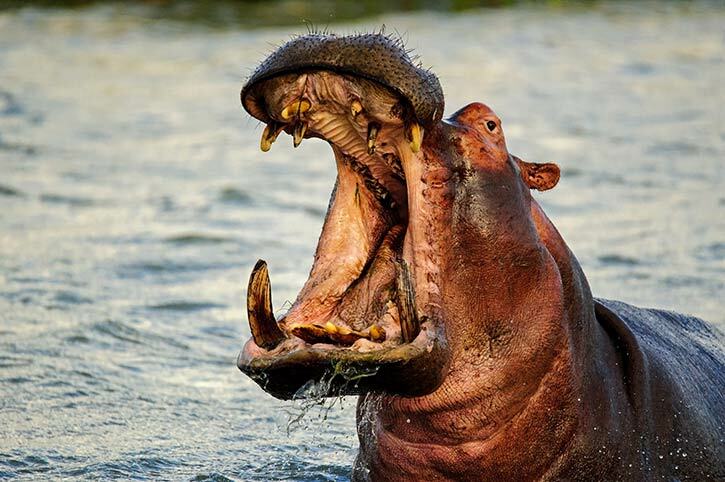 Today take a spectacular flight from Khwai airstrip to Kasane, gateway to Chobe National Park. 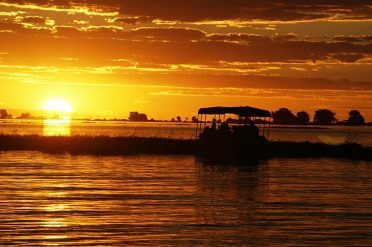 In the afternoon enjoy a boat cruise on the Chobe River where you have the chance to see elephant, hippos, crocodiles and a variety of birds, finishing off with one of the often spectacular sunsets. 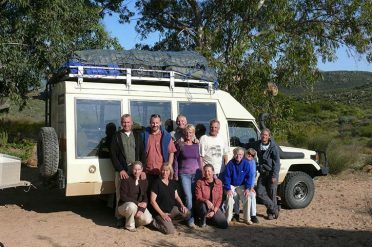 This morning we head over the border into Zimbabwe and to our lodge situated in a private concession near to Hwange National Park. The days are spent exploring the excellent wildlife on game drives – Hwange is home to large herds of elephant, buffalo, zebra and giraffe as well as many predators. A visit will be made to the Painted Dog Conservation Centre to see the work that is done to protect these endangered species. Today travel to Victoria Falls, where this afternoon you will be taken on a sunset cruise along the Zambezi River. Relax and enjoy the views as the sun dips below the horizon. The next day is free to relax in your hotel or take part in one of the optional activities. After breakfast bid farewell to your fellow travellers and transfer to Victoria Falls Airport in time for your departure flight.